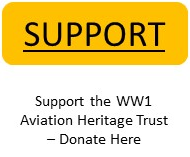 World War I Aviation Heritage Trust Ltd – We exist solely to keep the Aviation Legacy of World War 1 alive! 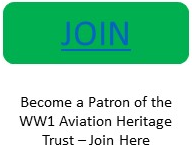 The WW1 Aviation Heritage Trust is a registered Charity (1156699) set up to provide an enduring flying collection of World War I Allied and German aeroplanes. Our goal is the education of current and future generations as testimony to the aircrews of the Great War, their planes, and their sacrifice. Keeping the Aviation Legacy of World War One Alive! Advance your understanding of the history of the evolution of military aviation during the Great War by flying displays, dioramas and educational courses. Demonstrate at air shows in the UK how the aircrews, technology and tactics evolved during WW1. Support flypasts and static displays at commemorative events. Offer apprenticeships in vintage aeroplane preservation, restoration and reproduction.